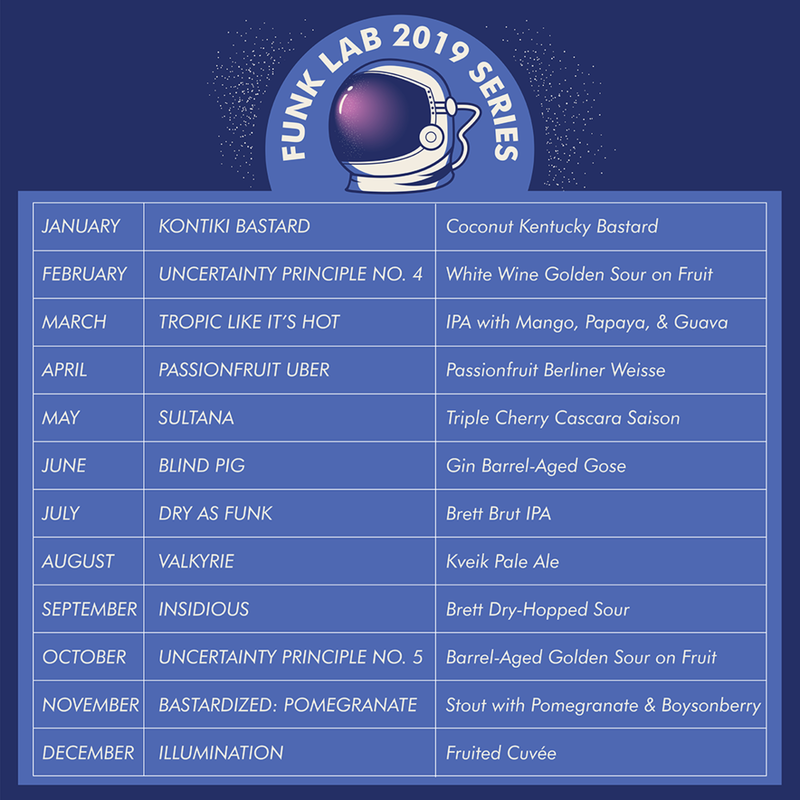 Announcing the 2019 Funk Lab Series! — Nickel Brook Brewing co.
Our brew team has put together the most audacious, ambitious, over-the-top list of beers we've ever dreamed up for next year, and we're finally ready to reveal them to the world! We'll be dropping a new beer every month exclusively at our Tap Room, Online and at select bars across Ontario. Want to guarantee you'll get them all? Subscribe to our 2019 Beer Club and you'll get 2 bottles of every beer delivered right to your house in quarterly installments. Check out the full list below, and be sure to follow us to find out when each new beer is dropped.